This is according to the Commissioner for Health in Rivers state, Professor Princewill Chike, who disclosed this to newsmen in Port Harcourt. Professor Chike said the state government is watching the victims even as they have been placed under surveillance. 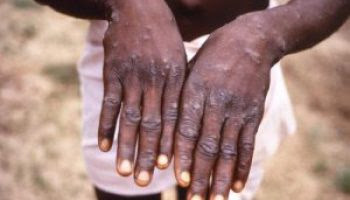 Professor Pincewill Chike said the suspects are identified in Rumuolumeni, Eneka and Rumoimoi all in Obio/Akpor local government area, noting that the ministry have deployed every means to prevent the spread of the disease.“In Rivers State we have three suspected cases already. “One is from the Rumuorlumeni area. We saw it and think it is not a serious matter so we have ruled it out.“Another one is a thirteen year old boy at Eneka. We discovered they took the boy to a native doctor. The parents think they can handle it the native way. “We have activated our isolation centres and we have put all our Health centres on red alert.“The University of Port Harcourt Teaching Hospital, UPTH, Braithwaite Memorial Specialist Hospital and all our Primary Health Centres have been reactivated. “We can assure you that there is no course for alarm because we are on top of the situation,” he said.